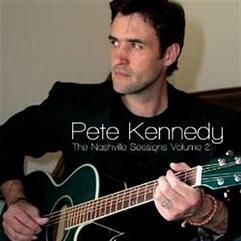 Pete Kennedy gained international recognition when he won “Album of the Year” at the British Country Music Awards in 2012 for his outstanding The Nashville Session, Vol.1. Now based in Nashville, Pete has spent the past year honing his songwriting chops with some of Music City’s top-shelf songsmiths, including Earl Budd Lee (Garth Brooks, Blake Shelton), Jan Buckingham (Lee Greenwood, Whitney Houston), Beau Fuller (Kristy Lee Cook, Jesse Keith Whitley), and American Idol and Grand Ole Opry star Ayla Brown. UNDERGROUND NASHVILLE: Why did you decide to tour your native Ireland, starting in February? PETE KENNEDY: I’ve performed all throughout the country, but I have never had the opportunity to tour until now. I am so excited to kick off my first headlining tour in Ireland! I feel like the timing is right. I’ve received tremendous support from radio, TV, and the media. Also, I have some incredible fans and I think this will be a great opportunity to connect with them. I’m even more excited to share what I have been working on over these past few months. UN: Why did you decide to move to Nashville? 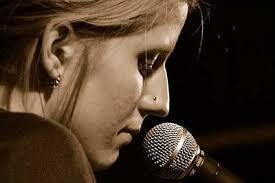 PK: From a very young age, I have always dreamed of moving to Nashville, to pursue my career in the music industry. Some of my very first memories of Nashville were from watching Music City USA, a TV show hosted by Shay Healy that featured the top country music videos of the week. I remember watching all the greats—Garth Brooks, Vince Gill, and Alan Jackson. I knew that if I was going to make it in this business, I needed to be in Nashville. I’ve been living in Nashville for over a year now, and I absolutely love it here. I’ve met some really amazing people and have had some incredible experiences. I truly believe this is where I am meant to be. I am so grateful for the opportunity to live in Music City. UN: What has been your greatest musical thrill to date? PK: I’ve had a lot of incredible experiences throughout my musical career; however, one of the most memorable and exciting times was immediately following the release of my first U.S. studio album, I Am the One on May 16th, 2014. I received an email from my manager with the news that the album was being featured as “New & Noteworthy” on the iTunes country store! To see my name amongst great talents, such as Keith Urban, Brad Paisley, and Hunter Hayes, was an immense honor. That was definitely a moment that I will never forget! What do you do when you’re an Americana singer-songwriter named “Dave” . . . whose guitar player is named “Dave” . . . and whose drummer is named “Dave”? If you’re David (“Dave”) Brooks, you call your project The David Motel. Working with acclaimed producer/songwriter David Coleman (The Coal Men), David Brooks has created an album that is—like the best of Americana music—revelatory and artful in a decidedly simple—or seemingly simple—way. From boot-stomping rockers like “Green Eyes” and “Ain’t That How It Goes” to wistful ballads like “Sing Me to Sleep” and “Little Girl From Natchez”, The David Motel memorably paints not only the state of one man’s soul in early 2015, but an arresting pathway for those who cherish what the most authentic Americana music can offer. 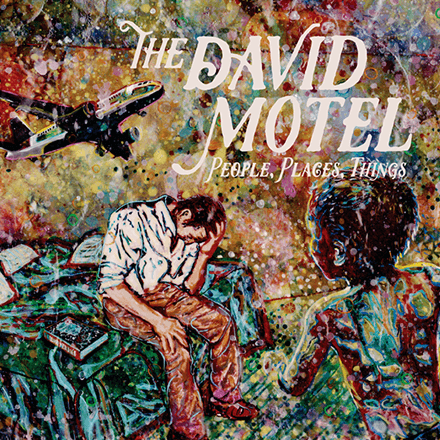 When reviewers at Rolling Stone especially like a new album, they spotlight it under the headline “Buy This Now.” I’d slap that label on The David Motel. You’ll be glad you’ve punched this Cosmic American Music ticket. 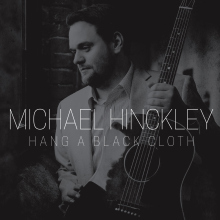 That devotion is newly evident in Hang a Black Cloth, Michael’s outstanding solo debut. In 11 masterfully chiseled songs, the Nebraska-born singer-songwriter again reveals his intense personal commitment to musical authenticity and a simple-yet-profound poetry. Right from its first track, this album aims for the heart and finds its mark. Michael’s uniquely compelling voice takes us across mystic landscapes previously sanctified by real-deal artists like Gram Parsons, Bob Dylan, and the Avett Brothers. But while Michael’s artistic journey may echo those artists, it does so squarely on its own terms. As listeners we feel we’ve been invited to the heart of something very precious and vulnerable here—to a region intensely human and uniquely compelling, accessible to anyone who cherishes the quiet, burning illumination manifest in the best of Americana music. Highly recommended. One of the wondrous elements of Once and its music was that it brought the previously obscure Markéta Irglová out of the shadows of the Czech Republic and Ireland to the world stage. The world is much the richer for that, as evidenced in—among other works—the singer/songwriter’s new album Muna, which she was touring behind when she performed at Nashville’s City Winery in late 2014. “Ethereal” . . . “very moving and beautiful” . . . “sacred” . . . these are some of the phrases I remember hearing from concert-goers after the show had ended. In a performance that consisted of most of the tracks from Muna along with a couple from Once and The Swell Season (Markéta’s project with fellow Once singer/songwriter/actor Glen Hansard), Markéta took the audience to a beautiful emotional plane where pop music intersects with holiness and a noble, church-like beauty. If her contributions to Once proved Markéta Irglová a prodigious musical talent, Muna is further proof of that gift—a gift we now all can unwrap and cherish. Editor’s Note: Roy E. Perry wrote book reviews for “The Tennessean” and “Nashville Banner” for more than thirty years. “Underground Nashville” is always proud to present Mr. Perry’s latest book reviews for our readers. 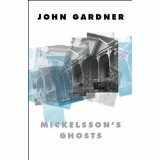 On page 286 of John Gardner’s novel Mickelsson’s Ghosts (1982), the protagonist, Peter J. Mickelsson, says to Jessica Stark (Ph.D., Sociology), “I like order.” Ironically, Mickelsson’s life is in great disorder. His life is spinning out of control: rationality collapsing into irrationality, cosmos crumbling into chaos. A professor of philosophy, Mickelsson mourns the lost love suffered in a divorce from his wife, Ellen. He is in financial ruin, virtually bankrupt because of alimony payments, is hounded by the IRS for three years of unpaid taxes, and is reduced to writing bad checks that begin to bounce. His teaching career at the university is in shambles, and he wolfs down Di-Gels like candy. So what is Mickelsson to do? He purchases an old, run-down, ramshackle farmhouse, reputed to be haunted, near Susquehanna, Pennsylvania, in the Endless Mountains, at which he works like a dervish to renovate, in a desperate attempt to escape his many problems and silence his demons. Mickelsson suffers psychotic episodes, “seeing” in the house (which was once occupied by Joseph Smith, Jr., the founder of Mormonism, and at which a murder was committed) the spirits of long-dead people. Turning from community in a hermit-like seclusion, he suffers tortured bouts of weariness, depression, misery, gloom, despair, and agony. Mickelsson’s world is haunted by dream-thoughts, flash-backs, fantasies, memories, and dreams—images teeming in his tortured brain, which float in the ocean of his consciousness as in Nietzsche’s sea of eternal recurrence. One of Mickelsson’s worst obsessions is that he is a compulsive womanizer. Witness his ill-advised infatuations: with a 17-year-old-girl, Donnie Matthews; his involvement with one of his philosophy students; and his desperate hunger for Jessica Stark’s affection. We cringe as Mickelsson’s once-brilliant mind descends into darkness. He himself realizes that his teaching career has been a fraud, and that he is in danger of becoming a buffoon, wearing the jester’s ridiculous cap and bells. In A Treatise of Human Nature, the Scottish philosopher David Hume sums up, in a nutshell, Mickelsson’s fatal flaw, “Reason is . . . the slave of passion.” In spite of Mickelsson’s many failures to live up to his own ethical ideals, however, one pulls for him, hoping he can extricate himself from his morass of troubles. In The Communist Manifesto, Karl Marx (with assistance from Friedrich Engels) writes, “A specter is haunting Europe—the specter of communism.” Likewise, a specter haunts Mickelsson’s Ghosts—the specter of Friedrich Nietzsche. Gardner quotes Nietzsche on numerous occasions, so often that one loses count. To a lesser degree, the ghosts of Martin Luther (Nietzsche’s bête noir) and Ludwig Wittgenstein (one of Nietzsche’s “children”) flit in and out of the book’s pages. A powerful psychological/existential tale of the slings and arrows that flesh is heir to, Mickelsson’s Ghosts is a brilliant philosophical novel that will intrigue anyone with a philosophical bent. Gardner’s last novel may very well be his best. Born in Batavia, New York, in 1933, John Champlin Gardner, Jr., was a novelist, essayist, literary critic, and university professor. He was killed on September 14, 1982 in Susquehanna County, Pennsylvania, when he lost control of his Harley-Davidson motorcycle. He is probably best known for his novel Grendel (1971), a best-selling retelling of the Beowulf myth from the monster’s point of view. Among his other best-selling and widely respected works are The Wreckage of Agathon (1970); The Sunlight Dialogues (1972); Nickel Mountain (1973); October Light (1975); Mickelsson’s Ghosts (1982); and The Art of Fiction (1983). You are currently browsing the Underground Nashville blog archives for January, 2015.